On Monday, September 15th, the Prospect Park Youth Advocates invite you & your familes and friends to a youth-friendly rally in support of a car-free Prospect Park. 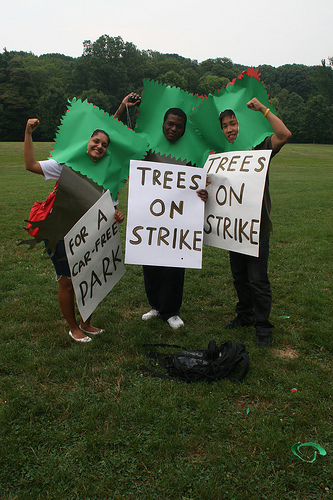 The famous Brooklyn Steppers will be there, as the Prospect Park Youth Advocates, the 4 park-side City Council members (including our own Mathieu Eugene), & Brooklyn park-goers carry a “green loop drive” across the Brooklyn Bridge & hand deliver the 10,000 letters to Mayor Bloomberg at City Hall. Bring your family & friends. Spread the word far & wide. Represent Brooklyn!